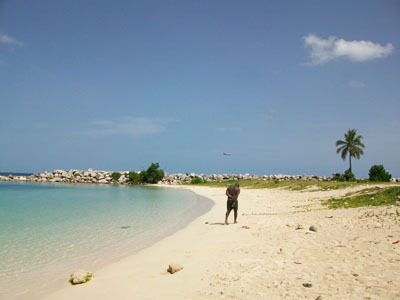 CaribWorldNews, NEW YORK, NY, Fri. Aug. 14, 2009: A significant percentage of Caribbean nationals in five nations in the region are living on less than $US2 per day. That`s according to a new report put forth by the Population Reference Bureau`s 2009 World Population Data Sheet. The report, which states that 97 percent of global population growth over the next 40 years will occur in the Caribbean, Latin America, Asia and Africa, found that the five Caribbean nations recorded double digit percentage points of nationals living on less than two US dollars. Haiti, not surprising, led the way with 72 percent of its population reportedly living on the tiny dollar amount as of 2005, the latest data available to the Bureau. St. Lucia surprisingly had 41 percent of its nationals living on the paltry amount, the latest report showed. This was followed by Suriname, which according to the data released, showed 27 percent of its nationals living of less than two US dollars daily. Guyana was fourth with 17 percent of its nationals surviving on the sum while The Dominican Republic registered 15 percent. Also surprising was that oil rich Trinidad and Tobago made the list. In T&T, according to the report, 14 percent of its population survives on less than $US2 per day. Data for Jamaica showed that only 6 percent of its population was living on less than two American dollars daily. This comes as the Bureau claimed that by 2011, the world`s population should reach 7 billion. The U.S. and Canada will account for most of the growth in the developed world – half coming from immigration alone – the report states. According to the report, the No. 3 slot in 2050 will still go to the U.S., but with a projected jump in the population to 439 million. China is currently the most populous country in the world with 1.3 billion. It is followed by India with 1.1 billion and the US at 307 million. Currently, the world population stands at 6.8 billion, up about 83 million from 2008. The Caribbean accounts for over 41 million people.